I have talked about this a lot over the years when delivering training to health, education and social care providers. If you are a childcare professional you have to have certain qualifications, yet two people (they don’t even have to know each other) can get together and have a baby! We don’t prepare parents and when you give birth you aren’t handed a manual telling you how to operate these small people who then rely on you for EVERYTHING! Then you get everyone giving you ‘advice’ … that’s right all the ‘this is how we used to do it’ or ‘not like that’ or ‘why don’t you…?’ – stop already…..
Then there are the books…millions of the things – how we should and how we shouldn’t do everything but no one agrees. Why is that? Well because there is no RIGHT way of course. For me, parenting is a journey and one where there are no right or wrong paths, only those we make up as we go along. One of the biggest struggles that parents face is finding the ‘right’ way to parent, but conflicting advice from friends, family and the myriad of parenting books available can cause confusion. Kids Don’t Come with a Manual stems from the unique perspective of a married couple with three children who had to find a more ‘balanced’ approach to parenting to make their family life more harmonious and enjoyable, despite their conflicting parenting styles. With their backgrounds in early years teaching, parent coaching and entrepreneurship, Carole and Nadim Saad brought together their different viewpoints to develop highly effective and practical parenting tools that show how even the most opposing of parenting techniques – the gentler ‘laissez-faire’ approach and the more disciplinarian ‘tiger parent’ philosophy – can be combined to make for a happy household. Based on the latest research in child psychology and neuroscience, Kids Don’t Come with a Manual provides step-by-step ‘tools’ to help parents and carers find new solutions to the most common parenting challenges, including how to prevent power struggles, how to (re)connect with your children, how to effectively deal with ‘mis’behaviour and how to develop your children’s self-esteem and emotional intelligence. 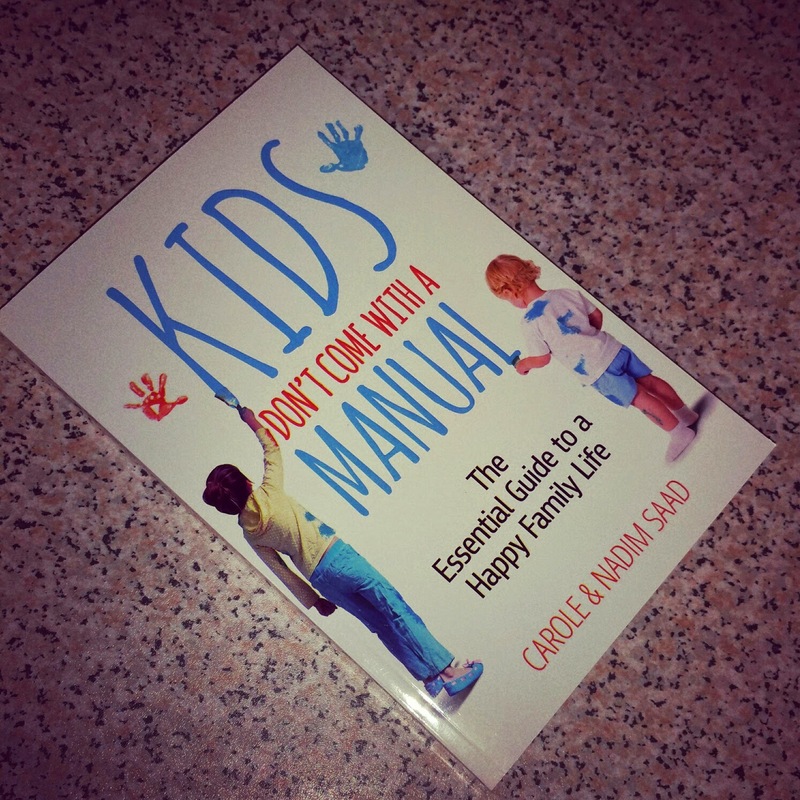 Kids Don’t Come with a Manual also contains a trouble shooting section that covers the top 20 parenting challenges – such as tantrums, defiance and sibling rivalry – and how to overcome them, for fast, effective advice when needed. An accompanying Best of Parenting app gives parents key information at their fingertips. As parents of three children, they had to find ways to make their family life more harmonious and enjoyable despite their conflicting parenting styles. So life-changing were their discoveries that they decided to devote their lives to turning them into highly effective parenting tools that could support and guide other parents on their parenting journey. They created Best of Parenting to provide a range of services tailored to parents’ individual needs including parenting courses, private coaching sessions, a trouble-shooting App and the highly acclaimed website www.bestofparenting.com. You can enter to win a copy of the book here – UK entrants only please. Ohhh hard question! Oh yes, I remember chatting to an old man on a park bench when my first son was just 12 weeks old – he told me to tap on my son’s gums with a metal spoon to see if his teeth are close to coming in! No way would I have done that!